QUESTION TIME | While the government can’t do much in terms of reducing debt right now, there are some workable options available in terms of raising revenues and cutting costs, which will cover the RM22 billion hole from the abolition of the goods and services tax or GST. During Prime Minister Dr Mahathir Mohamad’s previous term of 22 years between 1981 and 2003 ending 15 years ago, one of the cornerstone policies he implemented was privatisation - hiving off government operations and government-owned companies to the private sector to reduce the size of the government. 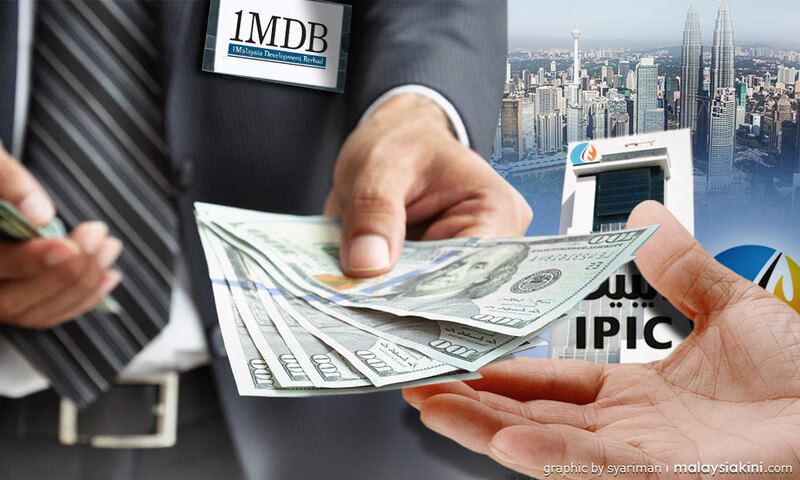 Now, some 25 years after privatisation began - the cynical call it “piratisation” for the extraordinary profit opportunities they gave these private investors through lopsided contracts - Mahathir is talking about asset sales yet again and raising taxes to reduce what he says is the over RM1 trillion debt, a call that has been echoed by other ministers. Nevermind that the debt is actually RM687 billion and increases to RM1.087 trillion only with the inclusion of government guarantees/contingent liabilities as well as lease payments for public-private partnerships, as pointed out in this article. So far no one has said by how much the government wants to cut the debt level. For simplicity, let’s take the debt at RM1 trillion and you want to cut it down to RM687 billion, the official debt figure. That means the government has to raise RM313 billion. What kind of asset sales and taxes will help raise that kind of money? The total assets of Khazanah Nasional Bhd, wholly owned by the government, only comes up to RM160 billion, while national unit trust scheme operator Permodalan Nasional Bhd only has assets of RM280 billion. Even if Khazanah sold half of its assets, it would only raise RM80 billion. But who will have even that kind of money in Malaysia to buy those assets in one go? If you open it up to foreigners, Malaysians lose wealth in addition to opening themselves up to extreme volatility in assets prices, especially if these were listed assets. PNB’s assets can’t be touched because most are in the unit trust schemes and only those which have not been transferred to the unit trusts can be sold. That, of course, goes too for the over RM800 billion worth of assets the Employees Provident Fund has. It invests on behalf of its members, not the government. And then there is land. But can we sell RM313 billion worth of land in a short time? Which developer or developers want so much of land? Even Daim Zainuddin, head of the disbanded Council of Eminent Persons or CEP, does not seem to be advocating large sales of government companies. Here’s what he said in an interview with Channelnewsasia recently: “One option to help shore up finances could be listing some of the government’s assets on the stock market. At the CEP, we have studied the proposal submitted to us on monetisation. We don’t advise to sell these assets directly to the market. Where companies are profitable, we recommend them to go for an initial public offering (IPO), create value and let Malaysians invest in these companies." Subscribe for only RM200 a year, or sign in if you're already a subscriber. To post or ‘like’ comments on Malaysiakini stories, you will need to sign in with an active paid subscription. Sign In or Subscribe. This is your first article of the month. You have access to 10 free articles every month. You've 9 free articles left for the month. You've 8 free articles left for the month. You've 7 free articles left for the month. You've 6 free articles left for the month. You've 5 free articles left for the month. You've 4 free articles left for the month. You've 3 free articles left for the month. You've 2 free articles left for the month. You've 1 free article left for the month. You have exceeded your 10 free articles for the month. Subscribe now for unlimited access or get 10 free articles again next month. This is a free article. Enjoy! Get both sides of the story.